Keeping your home in tip-top shape sometimes requires more exstensive work than you can manage. Sure, you can watch a YouTube video to learn how to unclog a toilet, but some projects extend the reach of your skills, patience, and any YouTube instructional video. When you know your home project is out of your skill set, you need to know the best person to hire for the job. People often ask me for references on handymen and contractors, and I’m always pleased to recommend several in the Brentwood, Tennessee, area. 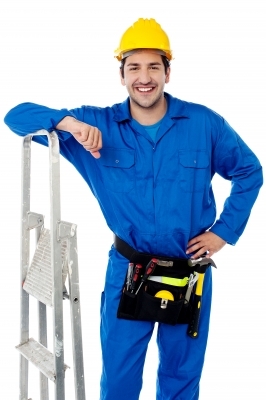 People also ask me how to know whether you should call a handyman or a contractor for particular jobs. As a general answer, I say to call a handyman for smaller projects that might fall under a “honey-do” list and stick to contractors for bigger jobs that might require moving a load-bearing wall or adding on to a current structure. Although you can find handymen who specialize in certain areas such as plumbing or tile work, if you have a job that requires several specialties, a contractor can sub-contract someone for every specialty area that you need. The number-one way to find the best people to work on your projects is by word of mouth. Getting those first-hand references are the best representation of what you will actually get. Reading reviews is helpful too, so look for those online to see what other people are saying. Do your homework. Saving a few dollars up front on someone could cost you big dollars in the end if you’re not thorough. And don’t be afraid to do a background check or to interview more than one person to make sure you have the right fit for your project and for your family. One of the most important things to make sure of is if that person you hire is licensed for your particular project, and that they are insured and bonded. This is the only way you can be protected if anything goes wrong. If you hire an unlicensed person and they get hurt on your property, it could pose a huge threat to your financial security. Ask for a written agreement of everything. You do not want someone to walk away with unfinished or faulty work that does not even meet your local codes.